Mario has had a long and illustrious career, from 1985's Super Mario Bros. - in which Mario must save Princess Toadstool from Bowser - right up until 2018's New Super Mario Bros. U Deluxe, where things are almost creepily familiar. One short stint of this career, lasting from 1989 to 1994, was the Super Mario Land series of games on the good ol' Game Boy. Consisting of Super Mario Land, Super Mario Land 2: 6 Golden Coins, and Wario Land: Super Mario Land 3, this little series featured the first Mario games which weren't worked on by Shigeru Miyamoto (who was busy working on SNES titles at the time). Instead, development fell to Nintendo's Research & Development 1, the team responsible for the development of the Game Boy, and this - coupled with the console's limitations - left the series feeling slightly different to anything we had experienced before. Norman Caruso of YouTube channel Gaming Historian has shared a deep dive into this series, taking us through its history, its development, and providing a closer look at how the games felt to play. 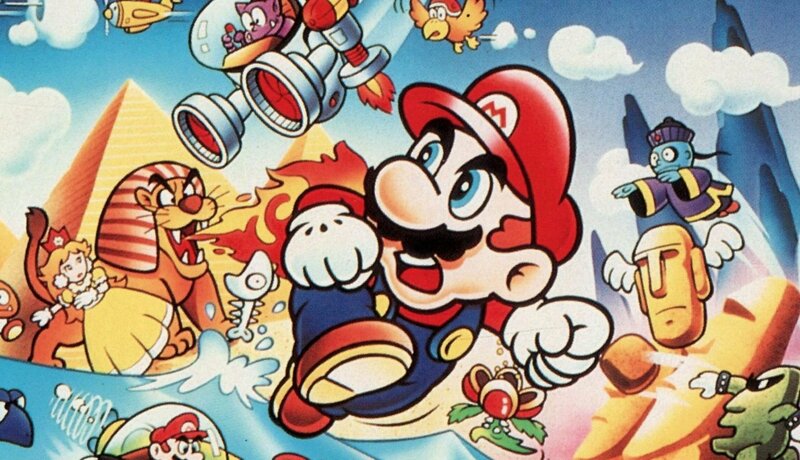 If you never had the chance to play these titles, or you feel like reminiscing over simpler times, make sure to sit back, relax, and soak up Mario's past below. Do you remember playing any of these games back in the day? Feel free to share your memories of Super Mario Land in the comments below. Super Mario Land was my first Mario game ever. Saved up my pocket money all year for a Gameboy. Had a really long bus trip to go on and played this all the way there for like 18 hours straight. Then on the way back I got so frustrated with it I headbutted the screen and smashed the LCD. Good times. Still got all three of them in mint condition! The sequel was actually the first one I got (in '92 I think? ), and looked marvelous for a gameboy title. Still can whistle some of the tunes! Great video. Haven’t played wario land, super Mario land 3. SML1 is really harsh to go back to now. It feels "dry" compared to the second one. But for History's sake it remains interesting of course. Looking forward to watching this later on. 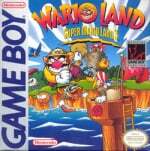 Super Mario Land was my first Mario game as well and loved Wario Land. The Star Man theme in this always intrigued me, and it is different again on Super Mario Land 2 6 Golden Coins. SML2 was one of the games I played to completion again and again as a kid, along with Link's Awakening. I watched a speedrun of it last SGQD (I think) and still remembered pretty much all of it 25+ years later. @SuperGhirahim64 same here. And fireball physics. @frabbit How did you keep the Gameboy on for 18 hours on a bus in the 1980s? Super Mario Land 1 was decent. Super Mario Land 2 was good. But Wario Land was amazing. It was the only (good) game I had when I first got my Gameboy, but I sure didn't care. @riChchestM It was the 90's. But, I mean, I don't exactly remember. Changing the batteries wasn't the memorable part of the experience but I assume I had to. The Gameboy kind of passed me by when I was younger so I've never had the opportunity to play any of these.... Very interesting Video none the less though. I do own a 3DS but never really got into handheld gaming in a big way.... would probably explain why my Switch spends 99.999999999999999% of it's time in the docked position. I still remember getting the Gameboy for Christmas right after it was released. I was nine years old. I had Tetris of course, but I also got Super Mario Land. Great times! I was glued to the thing for the rest of Christmas vacation. I still like to play through SML once a year, or so. The Gameboy felt like a technical marvel after Game & Watch. Now I'm playing the Switch. How things change and how they stay the same. I love the first Super Mario Land, really never been able to get into the second. Mario Land 1 was my first Game Boy game. Mario Land 2 was one of my favorites though. Its such a great game. It's too bad that the Game Boy only had two real new Super Mario games as the third was just the start of the Wario Land games but that's okay as the Super NES, N64, GameCube, and DS all only had one real new Super Mario game whereas GBC and GBA had none at all. Wouldn't Super Mario 3D Land count in this series? I owned all three games on the original Game Boy. Loved the second one the most, but was always confused at Wario Land: Super Mario Land 3. 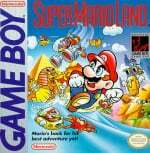 Super Mario Land was developed without Shigeru Miyamoto and done by the Game Boy creator, that's why it stands out differently than every other Mario game (not counting Super Mario 2 "USA"). Ah, these were the good times for Mario and Wario. Where 2D Mario platformers were trying something new and Wario was seen as a likable villain/hero who boasted strength and wealth. In 2019, all we got now for those two is the rehash asset fest that is the "New" Super Mario Bros. series and a character that is now being seen more as a punchline for gross-out humor. @John_Koshiro You sound like one of my friends who constantly criticizes Smash Bros. for the lack of Wario Land representation. @progx Despite similar titles, they apparently unrelated Mario series. I didn't think New Super Mario Bros. U Deluxe released in 2018. I didn't play these back in the day but did play and beat them all on the 3DS VC. The original Super Mario Land, while a little rough around the edges (To be fair, it was an early Game Boy game), is still enjoyable. Both SML2: Six Golden Coins and Wario Land: Super Mario Land 3 still hold up pretty well. Plus, the latter kick-started the Wario Land games; to this day, it's one of my favorite platforming series. @Elvie Oh, don't even get me started on Wario's Smash Bros. representation. Sakurai made so many ingenious choices in the series but his direction for Wario is the only thing that I can't stand to the point where I can list everything I dislike for the fighter. 1: Having Wario in his biker outfit. It's minor yes, but it is another snowflake that adds to the over-represenation of WarioWare problem. Plus, how many recognize that outfit more than his standard one? 2: The removal of his Shoulder Bash in Smash 4. It has been restored in Ultimate but why would you ever remove his signature move in the first place when it was one of the few elements calling back to the Wario Land games? 3: His recovery. It isn't based on anything from his games and range is short which means you can only be saved sometimes by the next move I'll mention here. 4: The Down Special. I get he is a bit fond of gross humor but what sense does it make to have an attack around something like that? With all the abilities he has like throwing coins, becoming a vampire, and "Shake attacks", Sakurai gives him something based upon personality trait rather than a move. That would be like if Mario's grab were to use spaghetti noodles that function like Link's hookshot and the reasoning would be, "Well, Mario likes eating spaghetti". Okay, rant over but I just hope whatever Smash Bros. game comes next will look back to the Wario Land games but I feel like that would only happen if the series made a comeback from its hiatus where it would relevant to do so. I love these games, and the cover art of the first one is so iconic! @John_Koshiro You actually seem to hate this representation topic substantially more than my friend but I understand what you guys are saying. Some of the choices for the character in Smash Bros. is a little baffling. Maybe we'll see more character changes in the future like the reversion of T.P. Ganondorf to Ocarina Ganondorf. In the meantime, maybe you should look into modding. @Elvie I have actually thought about modding but I'm not sure I far I can into it. @Quarth I share that opinion. It gives me an Indiana Jones vibe. By far one of the best GB cover art. Definitely one of my favorite Gameboy franchises of all time, next to Pokemon. My only complaint is that Nintendo seems to have lost interest in the Wario Land games and is focusing way too much on the WarioWare. I mean, even the Virtual Boy Wario Land is good. We have New Super Mario Bros, how about a New Wario Land? @John_Koshiro Yeah, it's one of the beauties in my collection. I think most of the OG Game Boy covers are pretty charming. @John_Koshiro For what it’s worth, green cap Link is much more recognizable than genderfluid ponytail Link yet the latter is still the default costume in Smash Ultimate. Never liked the first Super Mario Land. Even as kid. Played Kirby and the follow ups Mario Land 2 and Wario Land instead. And loved them all. Need a new Wario Land. Please on the Switch. Wario Ware too please! @Onion I agree. I'm not really a fan of minigame marathons anyway. I would rather have one game with variables and layers rather than a bunch of flash style games. Wario Land: Shake It apparently didn't sell well despite it being one of the best games in the series with its 2D hand drawn animation and gameplay, which is a real shame and this has put the series on hold. @Euler Well, I think they changed it partly for variety since there are two Links in the game with that outfit. Wow that was a good watch. I did play the first Mario Land recently and must admit I didn't enjoy it as much as I remember. The other games are great though and the Wario Land games are all amazing (bar Master of Disguise on the DS). Shake It is definitely one of my favorite Wii games and I would probably rank it as at least my third favorite Wario Land game. It's a crying shame that two generations (Wii U and 3DS) have went by without a single Wario land game. I'm sure the Switch won't get one either. At least we have the Gameboy Virtual Console on 3DS to play the original trilogy on, plus the 4th game is on GBA VC for Wii U.